Grass pollen is a common seasonal allergen. It's most active from mid-April through June. It's a typical Tuesday morning at the Allergy and Asthma Center of Cape Cod in Yarmouthport, and the waiting room is packed. People are clutching packs of Allegra, seeking relief. 15-year-old Anthony Lovati is here for his first allergy shot. 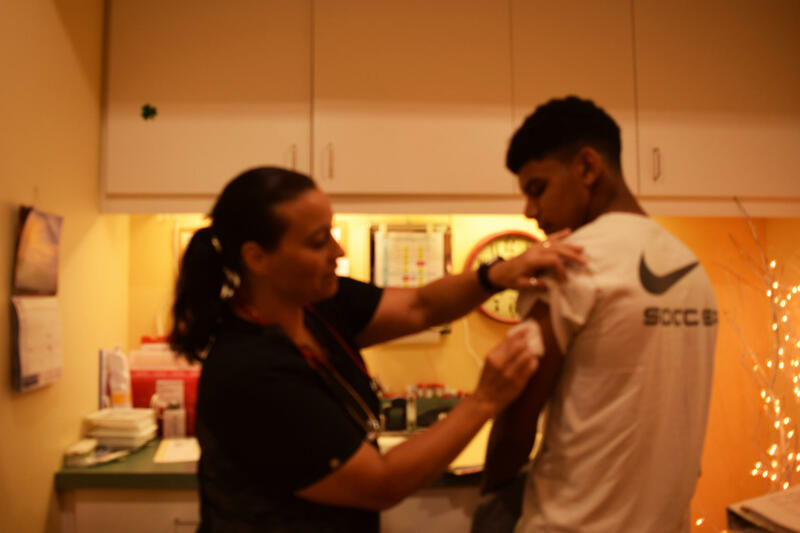 Anthony Lovati, 15, of Provincetown gets his first allergy shot at the Allergy and Asthma Center of Cape Cod in Yarmouth Port. Two years ago, his eyes started itching in the Spring. They swelled up during soccer practice. He couldn’t concentrate in class. Two weeks ago, he finally got tested for allergies. He discovered that he's severely allergic to springtime pollen—trees and grasses. Lovati is starting on an intensive course of allergy shots that will go on for five years. It’s a big investment of time and money. But as climate change makes allergies worse, it could be the one thing that puts an end to his suffering in the long-term. I asked Lovati if he knew how climate change was impacting his allergies. "I don't know that much about climate change, but I know enough to see how that could affect it," he said. "I notice it's been really rainy and everything got a lot greener, sooner." 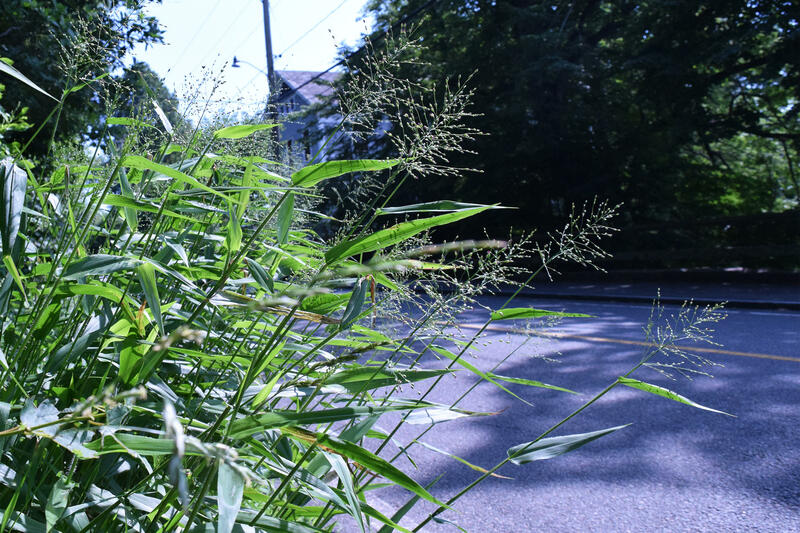 As a plant ecologist at UMass Amherst, Kristina Stinson studies how greenhouse gases affect allergenic plants. With warming temperatures, she says, Spring is coming earlier. And with increasing levels of carbon dioxide in the atmosphere, plants are making more flowers and producing more pollen. So the more carbon dioxide we put out there, from driving cars and burning gas and coal, the more tree and ragweed and grass pollen ends up in the air. And the warmer it gets, the longer that pollen season lasts. There’s also another effect—warmer air traps smog and pollution. That air pollution irritates our noses and throats, and makes our immune systems even more prone to allergies and asthma attacks. More heat and rain also creates more opportunities for mold and fungi, which many people are also allergic to. On Cape Cod, there’s an order to the allergy season. In the spring, there's birch, oak, and hickory pollen. From mid-April through June, there's grass pollen. Ragweed and other weed pollens start in late August and extend into the frost. Allergist Paul Sklarew says it's key for seasonal allergy sufferers to minimize their exposure to pollen. 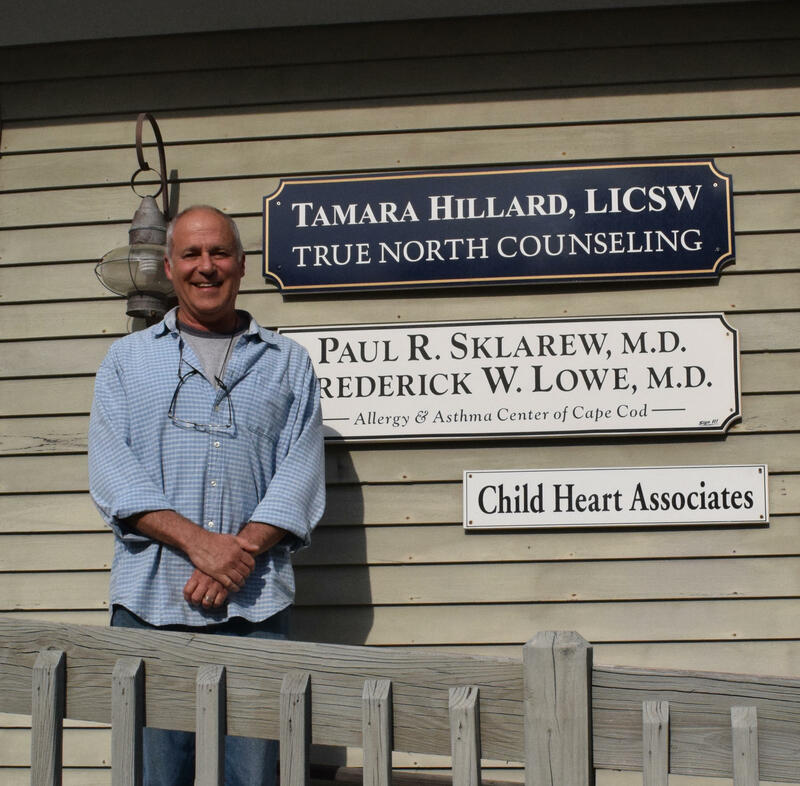 Dr. Paul Sklarew is an allergist and owner of the Asthma and Allergy Centers of Cape Cod. And he says that the best thing you can do is minimize your exposure to pollen. "I know that's not particularly easy," he says, "But there are things you can do like keeping your windows closed at home; using an air conditioner at home. The other thing which I think is useful is to take a shower and rinse your hair off before you go to bed." But you can’t hide indoors from mid-April through the frost. So Dr. Sklarew also recommends medications and nasal sprays. He also supports trying alternative approaches, like raw honey and neti pots. And if it’s dire, like it is for Anthony Lovati, you can get immunotherapy: a long-term course of allergy shots, that trains your body to stop reacting to the pollen. Lovati has his whole life ahead of him. He’s excited to get his driver’s license next year. He wants to go to college in Hawaii. He'll be 20 when he's done getting allergy shots. "I think it'll be worth it though, he says, "Because...I'm not going to have to deal with it for the rest of my life." 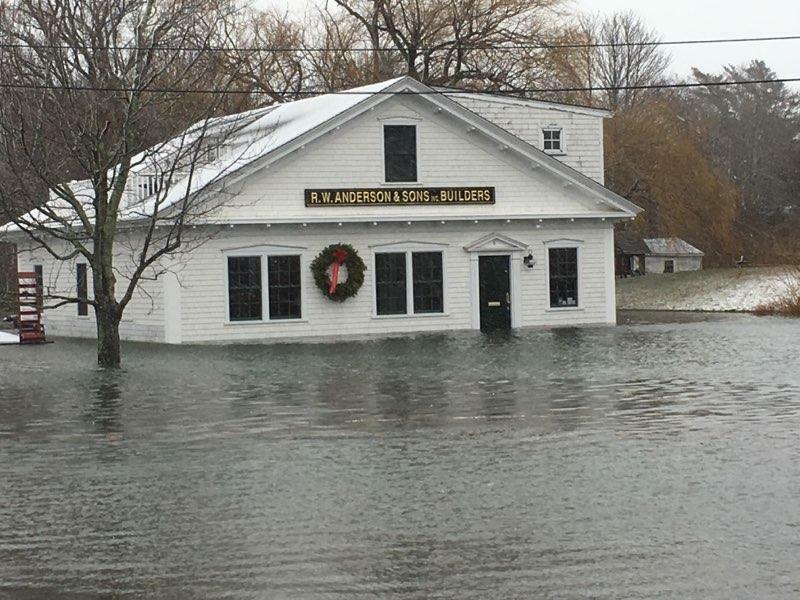 He can’t stop the sea level from rising, or the beaches from eroding. But, if he stays the course, then at least he might not have to worry about climate change and allergies in the future. Pien Huang is an environmental reporting fellow with the GroundTruth Project, based at WCAI. Early summer is high season for grass pollen.